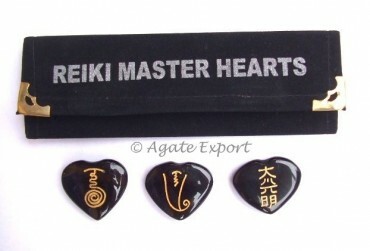 Agate Exports offers you reiki sets. This set helps the person during reiki sessions. It balances the energy and helps in healing. Black Onyx Reiki Master Hearts Set is available on Agate Export.